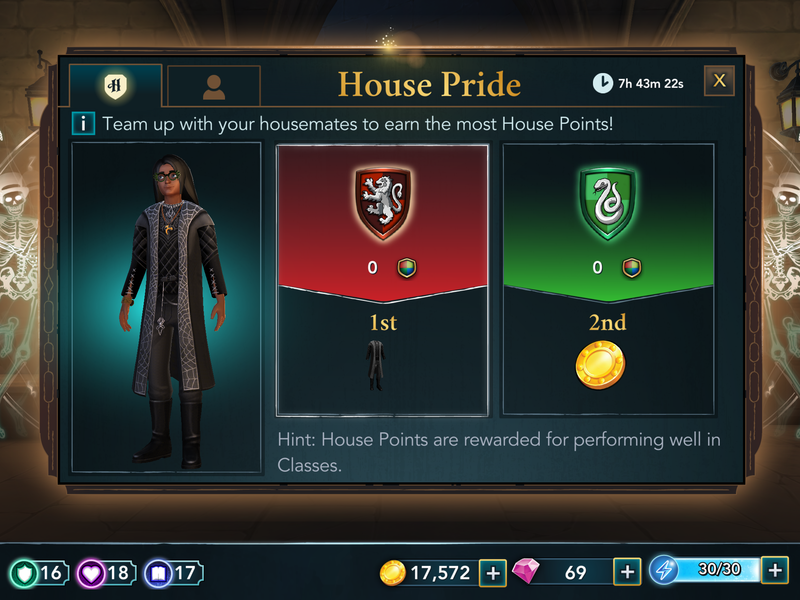 House Pride is a regular Special Event where you perform tasks in the game to try to gain the most House Points and in turn, earn Notebooks and New Outfits. There are two angles to the House Pride event, one is the individual rewards which you will have more control of because they are just based on how you perform in the game, and the other is a team effort, really dictated by how you and the other members of your team perform in this event. In both cases, the individual and team scores, you gain House Points by performing well in Classes. So during this event you really need to be macing out the stars in as many classes as you can if you want to win anything. The most Notebooks you can win in a single event is 15. And you'll actually need at least 50 if you want to use them to buy a pet, so this event will need to be completed a number of times in order to have enough Notebooks to purchase a pet. In order to get the maximum number of coins and notebooks you will need to earn the maximum of 280 House Points - That's a lot of classes! However, this level of reward may change future versions of this event as it is super difficult to achieve the Notebook wins. When this event runs it is only for a set period of time, about 6-7 days.